In Porto (Portugal) 1982, during a seminar hold there by Sensei Alberto Evangelista (from IKO –International Karate-Do Organisation) at the invitation of Sensei Jaime Pereira and after a small tournament at Brasília Shopping between Portugal and Italy the idea of our European championships begun. The two agreed it will be held the next year, hosted by Sensei Evangelista in the beautiful city of Rome. Sensei Pereira involved his group of friends, mostly members then of IOGKF (International Okinawan Goju-Ryu Karate-Do Federation), a little tired of the absolute lack of competition, in order to develop the style and make it stronger in Europe. Among this group were Senseis Pieter Harms (Belgium), James Rousseau and Sim Len (England), Hiromi Suzuki (Sweden), Bernard Cousin (France) and Theodoropoulos (Greece). Sensei Suzuki also invited his friend Sensei Takeji Ogawa which brought Austria to the group and the same happened with the invitation by Sensei Evangelista to Sensei Yamashita, which also brought Spain. This first championship was very important and showed that a European way, without the obligations and “closed doors” so typical in Japanese organisations, among different lines of Goju not only were possible but desirable. And this was the spirit of this organisation, even before it was officially born, to unite and develop all forms of Goju. Our “fight” was always an exogenous one, regarding other styles, not inside the large and diverse Goju family. All Goju forms were, and are, always welcome. 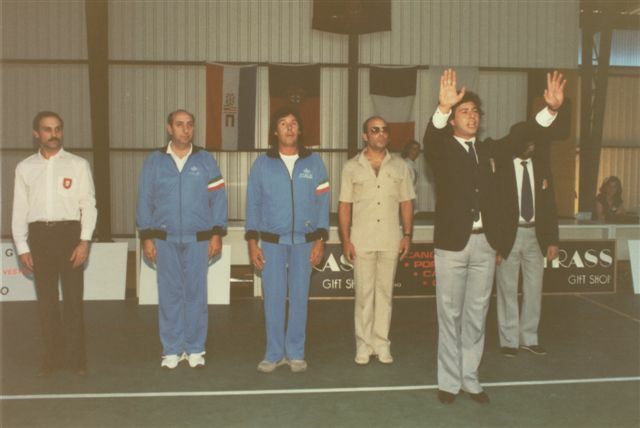 Rome’s friendly experience (7 and 8 of May 1983 – I Coppa Europea Karate Goju-Ryu), with nine present countries, was a success and it was decided that every two years they will promote European Championships for seniors. The enthusiasm of Sensei Harms determined that Belgium was chosen to be the next host. 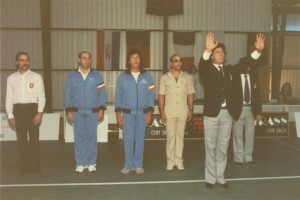 In Leopoldsburg, in 1985, eleven countries participated. 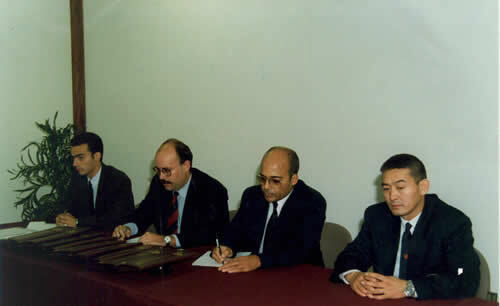 On the occasion of the 5th European Championship held in Lisbon (Portugal) and during the previous Congress at Alfa Hotel, on 27th September 1991, the discussion and proposition of an European Federation was made. Ten years latter, in 1993, the growth of the experience was obvious, Goju was becoming stronger in many other European countries and the previous idea of a Federation gained body. Among the founders were Fritz Nopel (Germany), Pieter Harms, Marcello Tiberi (Italy) and Humberto Oliveira (Portugal). In May 1993 in Kamen (Germany) just before the 6th European Championship hold in Riga (Latvia), the European Goju-Ryu Karate-Do Federation was born.